With the Government’s commitment to fiscal consolidation and sustained growth, continuous initiatives and reformative steps in that direction, India’s macroeconomic story is gradually improving. Recent economic reforms that aim to advance the government’s agenda of improving the nation’s business climate, enhancing its productivity and stimulating its foreign and domestic investment, is eventually fostering growth which is evident from the fact that according to World Bank’s report, India’s economy is expected to grow at 7.2 per cent this financial year (i.e. FY18), up from 6.8 per cent in 2016, which may further grow at 7.5 per cent the year after. Recently, international credit rating agency, Moody’s Investors Services, has raised India’s sovereign rating for the first time in 13 years due to India’s high growth potential in the coming years and in view of the ongoing economic and institutional reforms, which will enhance India’s large and stable financing base for the Government debt, and contribute to the gradual decline in general Government debt burden. This rating upgrade, coupled with India’s improved ranking in the recently declared World Bank’s ease of doing business index are strong indicators of inherent economic strength of Indian economy and positive directions of reforms. As you know, in view of the growing NPA problem and to strengthen the banking sector and also to meet capital norms under Basel III, the government has recently announced a 2.11 lakh crore recapitalisation plan for the public-sector banks, which are currently reeling under the burden of huge bad loans. This will stimulate the flow of credit and ensure adequate funding for the genuine borrowers, and the private-sector investment cycle, more employment and our economy at large will get a strong boost. Having supported the GST regime since inception, ICAI has been undertaking various measures to facilitate its smooth implementation extending its support to all its stakeholders. Recently, before the 23rd GST Council meeting, ICAI has again submitted many suggestions relating to GST implementation faced by assessees and our members, as well as on regulatory and procedurals issues. From the decisions taken by the GST Council, it appears that some of these suggestions were positively considered. Key decisions taken include an increase in the limit of aggregate turnover for composition scheme from 1 to 2 crore, exemption from compulsory registration to service providers for extending services through e-commerce platforms, filing of quarterly instead of monthly returns by taxpayers who have annual aggregate turnover up to 1.5 crore, reduction in GST rate on a large number of goods, exemption from tax on advances in case of goods, reduction in late fee of return filing and so on. GST Council has also set up a committee to look into making GSTR-2 and GSTR-3 business friendly. ICAI also submitted its recommendation on the ease of doing business with regard to the issues faced by industries under GST to DIPP (Department of Industrial Policy and Promotion), Ministry of Commerce. Further, we have recently released two more new publications, viz. Handbook on GST for Service Providers and Booklet on-Seamless Credit, which make the total of GST publications to nine. UAE is implementing VAT with effect from 1st January 2018 and ICAI through its Dubai Chapter has been organising faculty identification programme, planning certificate courses and seminars, etc., for the benefit of our members and other stakeholders from UAE. This will be a precursor to the rollout of VAT in other countries of the Gulf Cooperation Council. Recently I had an a meeting with Union Commerce and Industry Minister CA. Suresh P. Prabhu, Union Railways and Coal Minister CA. Piyush Goyal and Union Minister of State for Corporate Affairs Shri P. P. Chaudhary, where I requested them to grace the forthcoming International Conference of ICAI, besides discussing the matter of professional interests with them. ICAI Secretary Shri V. Sagar had accompanied me in my meetings with Union Commerce and Industry Minister as well as Union Minister of State for Corporate Affairs. I along with my Central Council colleagues CA. Mangesh Kinare and CA. Prafulla Chhajed had a meeting with Chief Minister of Maharashtra Shri Devendra Fadnavis recently and personally invited him to the forthcoming International Conference. We also offered our professional support to the Maharashtra Government. I along with ICAI Secretary Shri V. Sagar met the new C&AG of India Shri Rajiv Mehrishi. Later, I along with my Central Council colleague CA. Sanjiv Kumar Chaudhary had a meeting with new Deputy C&AG (Commercial) Shri Ashwini Attri. It was a courtesy meeting after assuming the office of both the dignitaries, during which we also shared with them various activities and roles being played by the Institute. Many of you may not be aware that Shri Mehrishi, then Joint Secretary at Ministry of Finance and Company Affairs, has also been a Government’s Nominee on ICAI’s 18th Council (2001-04), which is certainly a matter of our pride as well as a great pleasure that a person who understands our profession well has assumed the highest position at the government audit in India. Before these meetings, I along with my Central Council colleague CA. Sanjay Kumar Agarwal and ICAI Secretary Shri V. Sagar, among others, recently met the new Secretary of Ministry of Corporate Affairs, Shri Injeti Srinivas. IESBA Delegation: IESBA (International Ethics Standards Board) Chair Dr. Stavros Thomadakis and Technical Director Mr. Ken Siong visited ICAI recently on 2nd-3rd November 2017, where they also addressed the Council. On 3rd November 2017, the IESBA delegation also addressed the ICAI members at a live webcast on Proposed Revision in the IESBA Code of Ethics. IESBA Chair Dr. Thomadakis later gave an interview to the ICAI (to be published shortly in the Journal) and responded to the questions concerning ethics and ethical standards, put before him by Ethical Standards Board and Editorial Board of the Institute. IFAC Delegation: I am happy to inform that an IFAC delegation comprising its President Ms. Rachel Grimes, Communication Director Mr Anthony Mirenda and Executive Director Ms. Sylvia Tsen will come to India next month and they are expected to meet Indian regulators including SEBI, RBI and C&AG of India. Later, IFAC President Ms. Rachel Grimes will also address the International Conference in Mumbai. I along with ICAI past-President and outgoing IFAC Board member CA. K. Raghu and ICAI Vice-President CA. Naveen N. D. Gupta attended the Edinburgh Group Meeting on 14th November 2017 in Brussels, Belgium. We also attended the IFAC Council meeting on 15th- 16th November 2017. Then, I and ICAI Vice-President CA. Naveen N. D. Gupta attended the IFAC Board meeting and the Chartered Accountants Worldwide (CAW) CEO meeting on 17th and 18th November 2017 respectively. 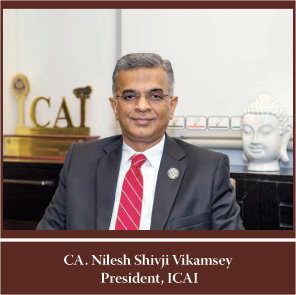 Recently, ICAI Vice-President CA. Naveen N. D. Gupta along with ICAI past-President and IFAC SMP Committee member CA. Manoj Fadnis attended the IFAC SMP Committee meeting on 22nd-24th October 2017 in New York, wherein they raised the concerns that ISQC (International Standard on Quality Control) should not be made applicable to SMPs due to the difficulties being faced by them. They also met the AICPA Vice President Ms. Sue Coffey, on the sidelines, and apprised her of the developments at IQAB (International Qualification Appraisal Board) that ICAI had urged the Government of India to request US-IQAB to start the qualification recognition dialogue. In view of more than 1000 members present in USA, they have offered to have AICPA conduct CPD programmes for the ICAI members in US. Then, they met the Consul General of India in New York Shri Sandeep Chakravorty. They informed him about the activities at the ICAI’s New York and San Francisco Chapters, and sought his cooperation in the matter of industrial training scheme and overseas campus placement of Indian CAs. Recently, 49th SAFA Board meeting and Committee meeting were held in Colombo, Sri Lanka on 30th October 2017–1st November 2017 wherein my Council colleagues CA. Atul Gupta, CA. Tarun Ghia, CA. Mukesh Singh Kushwah, CA. Mangesh Kinare, CA. Prafulla Chhajed, CA. Ranjeet Agarwal, CA. 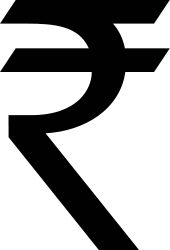 Rajesh Sharma, CA. Dhiraj Khandelwal and CA. Debashis Mitra participated. Coinciding with the meetings, SAFA International Technical Workshop was organised on the theme Non-Compliance with Laws and Regulations (NOCLAR) and IFRS 15, which witnessed a participation of more than 200 delegates from South Asian nations. Monitoring Group (MG), a group of international financial institutions and regulatory bodies committed to advancing the public interest in areas related to international audit standard setting and audit quality, has issued a consultation paper titled Strengthening the Governance and Oversight of the International Audit-Related Standard-Setting Boards in the Public Interest (available at https://www.iosco.org/library/ pubdocs/pdf/IOSCOPD586.pdf) setting out various options to enhance the governance, accountability and oversight of the international audit standardsetting process. MG’s consultation paper aims to elicit the stakeholders’ opinion on how best to safeguard the independence of standard-setting process and its responsiveness to public interest. I request my member colleagues to send their comments to the Institute at ia@icai.in. We are also considering the above Paper in the ICAI Council and comments received from its members, which will help us to submit our response suitably. In furtherance to our earlier representations and time-to-time discussions with CBDT, ICAI has submitted a representation with regard to the Guidelines on POEM. Various meetings were held with the CBDT officials to elucidate the genuine hardship being faced and our submissions have been duly considered. CBDT has issued a relevant Circular to address our concerns. We had also submitted requests to CBDT for the issuance of refund to foreign companies that did not have bank account in India, for years prior to the assessment year 2017-18. In a meeting, CBDT has informed that our request is being considered. Suggestions have also been submitted to CBDT on the draft notification laying down the Guidelines for Maintaining and Furnishing of Transfer Pricing Documentation in the Master File and countryby- country report. Further, in view of a recent judgement of Delhi High Court in the case of Chamber of Tax Consultants vs. Union of India, ICAI has again submitted a representation to Union Finance Minister and CBDT Chairperson that the ICDS should not be implemented. Time and again, ICAI has voiced its concerns that implementation of ICDS has been a matter of utmost concern not only for assessees and Chartered Accountants, but also for the officials of the Department, and through its representations on various occasions in the past, ICAI has sincerely submitted that a whole new set of standards would create confusion and complexity, and eventually reduce the ease of doing business in India, which is not desirable. As reported by members, Assessing Officers have been requested to process the tax returns filed for AY 2015-16 and AY 2016-17, and issue consequent refund thereafter. However, during discussions, the Assessing Officers have expressed their inability to process the return. If the processing of returns is kept on hold till the assessment is complete, the assessee is likely to receive the refunds after a substantial period of time and this will result in cash blockage and genuine hardship for the assessees. In view of this, ICAI has submitted a representation to CBDT requesting the issuance of necessary instructions to the Assessing Officers to process the return and issue the consequent refunds for AY 2016-17 latest by 31st March 2018, i.e. within time limit prescribed under Section 143(1) of the Act, without waiting for the completion of scrutiny proceedings. First and second meetings of ITR Forms (AY 2018-19) Review Committee have been held on 23rd October and 6th November 2017 respectively. ICAI had submitted its suggestions on ITR Forms to be notified for AY 2018-19. As you know, CBDT had extended the due date for filing report of audit and tax-returns from 30th September to 31st October 2017 under the Incometax Act, 1961 (“the Act”). On further requests of our members, ICAI submitted a similar representation to CBDT, Union Finance Minister and Revenue Secretary, requesting a further extension. My Council colleague CA. Sanjay Kumar Agarwal had a meeting with CBDT Chairperson last month in this regard. CBDT has further extended the due-date for filing income-tax returns and various reports of audit prescribed under the Act, pertaining to AY 2017-18, from 31st October to 7th November 2017 for assessees falling under Clause (a) of explanation 2 of Section 139(1) of the Act. ICAI has also submitted inputs on the draft notification of amendment of Rule 17A and Form 10A of the Incometax Rules, 1962 in response to the press release dated 18th October 2017. In our professional life, we always have deadlines to meet, be it relating to income-tax, GST, annual return filing. Or, other professional matters. As you know, in many cases, clients provide information in the last moment, close to the deadline creating unwarranted pressure on us and the system. In my opinion, we should suitably advise our clients to avoid such practices in their own interest. While as a professional body, it is appropriate for us to approach the Government to consider regulatory or interpretation issues, it is also advisable that clients directly use their trade associations and chambers and/or grievance cell of concerned Govt. authorities to communicate technology-/system-related and/or other problems, if any, else the authorities may have a feeling that our members, and not clients, are having problems, as the clients do not articulate/escalate matters the way ICAI does it. ICAI has also submitted its suggestions to SEBI on the Report of Committee on Corporate Governance constituted by SEBI. I am happy to inform that as informed by National Bank for Agriculture and Rural Development (NABARD), the Government of India has approved the increase in the audit fee being paid to auditors of head/branch offices of regional rural banks (RRBs) for their various business levels by 25% to 40% and some new slabs have been introduced for the annual audit of RRBs for the financial year ending 31st March 2018. Draft Ind AS 116, Leases, corresponding to the IFRS 16 was approved, which would be made effective from 1st April 2019 and early application will be permitted, subject to the approval of NACAS (National Advisory Committee on Accounting Standards) and Ministry of Corporate Affairs. The duration of Orientation Programme for the Post-Qualification Course on Diploma in Insurance and Risk Management has been reduced from five to two days. If possible, either IIIPI may register valuers or a dedicated Section 8 company may be formed for registering the Valuation Professionals. As you may be aware, the 11th ICAI Awards 2017 will be held on 19th January 2018 in Mumbai. Five more categories, viz. CA. Corporate Contributor, CA. Entrepreneur, CA. Lifetime Achievement, CA. Exemplary Contributor to Society and CA. Distinguished Contributor in Civil Services, have been added to widen the area of awards in the emerging sectors. Further details are available on https://awards.icai.org/. Members in Industry are requested to send nominations for the above. As informed earlier, ICAI 2017 International Conference will be held on 8th-9th December 2017 in Mumbai, on the theme Accountancy Profession: Convergence and Sustainability in Digital Era. As many as 1,500 participants are expected to attend the Conference. SAFA Board and Committee meetings will also be held on the sidelines of this mega event on 6th-7th December 2017. As registrations are fast filling in, I request those interested to register soon for the Conference and make it grand success. 29th Annual International Seminar at Abu Dhabi Chapter of ICAI was held on 9th November 2017 on the theme Success through Synergy, bringing together a galaxy of professional leaders. 2-day 4th International Conference 2017 was organised by Doha Chapter of ICAI on the theme of Engage Innovate and Transform on 23rd-24th November 2017, bringing the leading financial-sector experts and their insight on board. 11th Anniversary Gala of Toronto Chapter of ICAI was organised on the theme of Building Leaders with Purpose and Passion on 18th November 2017, which among others served the members with an opportunity to connect with each other. Then, the 3rd Anniversary Annual Gala of British Columbia (Vancouver) Chapter of ICAI was held on 19th November 2017, promoting further the cause of members’ networking and other professional opportunities. 13 meetings of Board of Discipline and Disciplinary Committee (Bench I and II) have been held across the country in August–October 2017, where 187 PFOs (prima-facie opinions) were considered. Accordingly, hearing in respect of 38 cases (including 6 cases of public interest matters) was concluded and punishment was awarded in 10 cases. 20 cases were part-heard and adjourned. Like every year, this year too, ICAI would submit its Pre-Budget Memoranda to the Ministry of Finance. For the purpose, ICAI has invited suggestions from its members at large through an online format. Suggestions have also been sought from all Branches and Regional Councils. I request my member colleagues to submit their suggestions for consideration and inclusion in the Pre-Budget Memoranda at https://appforms.icai.org/preBudgetSuggestion/index.html. Recently, we have signed an MoU with Jet Airways with regard to the concessional fare for our members and students. My Central Council colleagues CA. Mukesh Singh Kushwah, Chairman of Committee for Capacity Building of Members in Practice, who took the initiative, CA. Tarun Jamnadas Ghia and CA Anil Bhandari were also present on the occasion. Details of the offer are being published in the ICAI News section of this issue. Promotion and adoption of accrual accounting in the government sector and creating awareness is always a priority area of ICAI. In this direction, recently Training programmes on the Implementation of Double Entry Accrual System (DEAS) of Accounting and Financial Management Reforms in Urban Local Bodies (ULBs) has been successfully organised for the officials of ULBs/local fund auditors of Delhi (jointly with Urban Development Department of Delhi), Chhattisgarh (jointly with Directorate of Local Fund Audit of Chhattisgarh) and West Bengal (jointly with State Mission Directorate, AMRUT, of West Bengal). These programmes were well received and appreciated by the respective Directorate/Department and participants. Municipal Corporation of Gurugram of Haryana and Rajkot Municipal Corporation of Gujarat have also proposed to organise similar training programmes for the accounts/finance officials of their ULBs which will also be organised after finalisation of necessary modalities. Contribution of 94,12,059/- has been received so far by Chartered Accountants Benevolent Fund (CABF) and a sum of 48,00,500/- has been granted as medical and financial assistance to the members in distress and to the families of deceased members of the Institute through CABF during 1st April 2017 to 30th September 2017. I urge all my member colleagues to make generous contribution to the Fund so that members and members’ families in need could be assisted. The month of December brings back with it a panorama of life that we have had through the year- good and bad, success and failures, joy and despair- we get new perspectives to explore our one-year past. December is profound since it makes us think and transforms us into an accountant, an auditor to be precise. It is about the audit of our life-we need to sit back and recall. We need to introspect. It is also time to celebrate and welcome our life and prepare ourselves to embrace another New Year. Birthdays of Prophet Mohammed, i.e. Milad-un-Nabi (Id-e-Milad) that falls on 2nd December, and Jesus Christ, Christmas that falls on 25th December, will give us more reasons to celebrate. My best wishes are for all of you. Let us be together and enjoy our commitment to our life, our profession, our nation and, above all, to humanity.